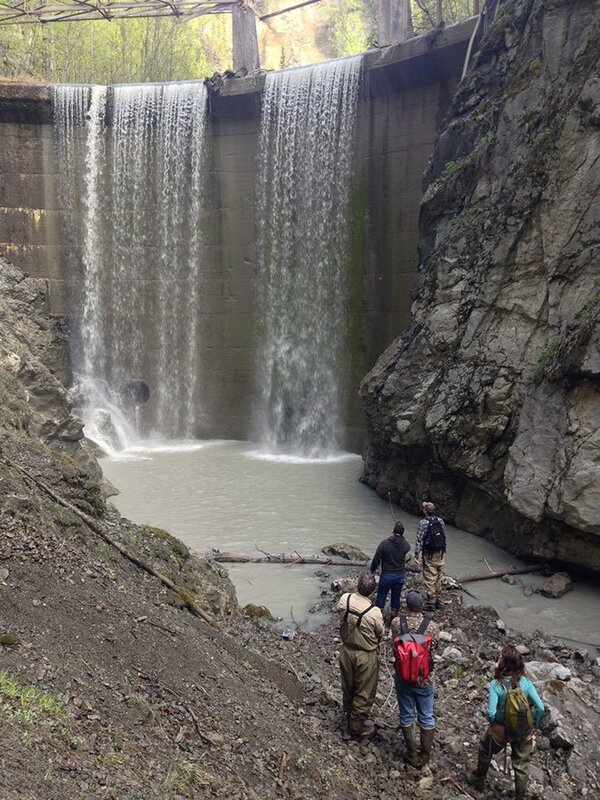 Decades ago, Eklutna Dam stopped being useful. 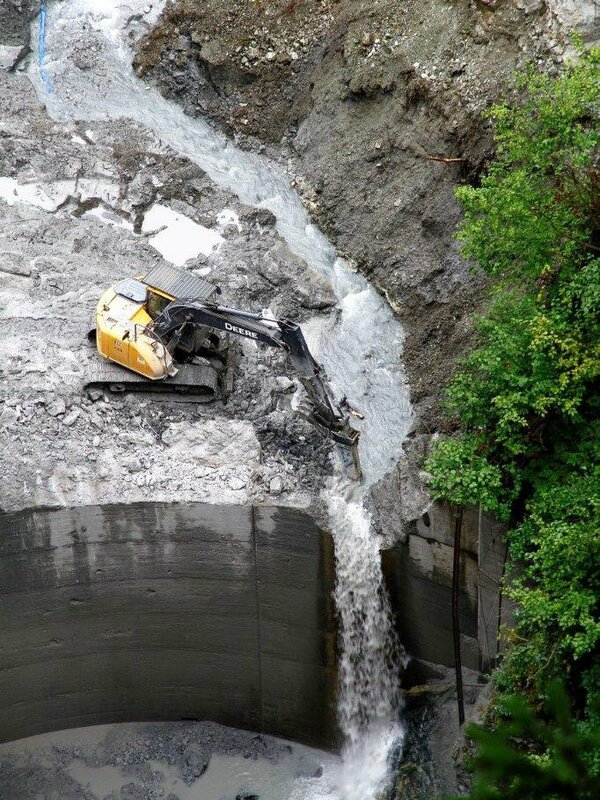 Deconstruction of the 70-foot-tall dam was functionally complete by late October 2017, allowing salmon passage for the first time in 88 years. Eklutna Dam was built in the late 1920s in a narrow canyon about 25 miles northeast of Anchorage near the Native Village of Eklutna. It supplied power to Anchorage as part of Alaska’s first hydroelectric project. Dam maintenance stopped when the project was decommissioned in the 1950s. 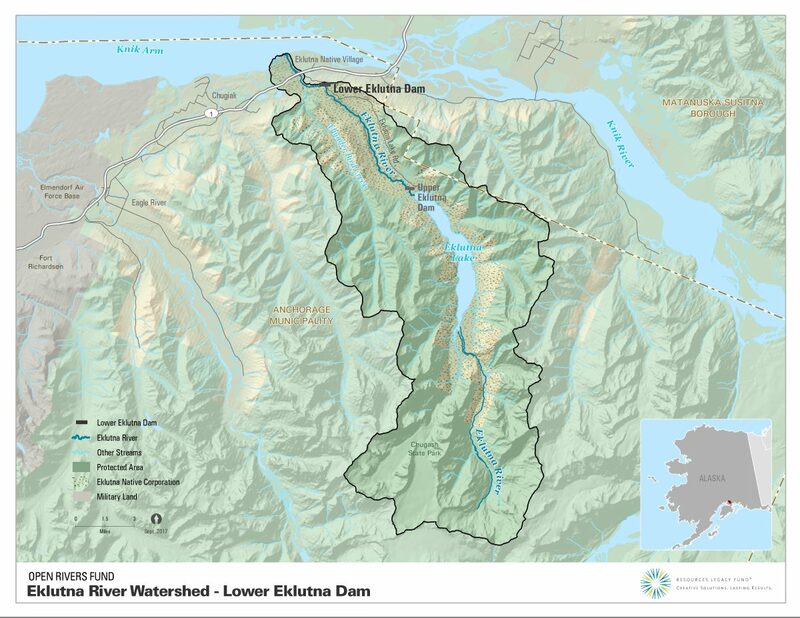 Sediment filled its reservoir, and the dam blocked the struggling runs of salmon on the Eklutna River, which empties into the Knik Arm of the Cook Inlet. The Eklutna River once hosted abundant salmon, and the Eklutna Dena’ina people built their village at the river’s mouth. Dams and diversions have degraded habitat and led to a fisheries decline throughout the Eklutna River system. Five species of Pacific salmon (king, sockeye, silver, pink, and chum) still use the river, but at a fraction of historic abundance. The Lower Eklutna Dam, located on lands owned by an Alaskan regional native corporation, is the primary cause of sockeye salmon decline in the system. Removal will restore river functions and traditional practices in the Native Village of Eklutna. Site remediation and monitoring will follow the deconstruction work, which is the first of many steps under a river restoration plan that includes restoring water flows. Here is a book produced by The Conservation Fund telling the story of the dam removal and the restoration of the Eklutna River.